CHARLESTON, W.VA. (3/9/18) Welcome to Jurassic Park! 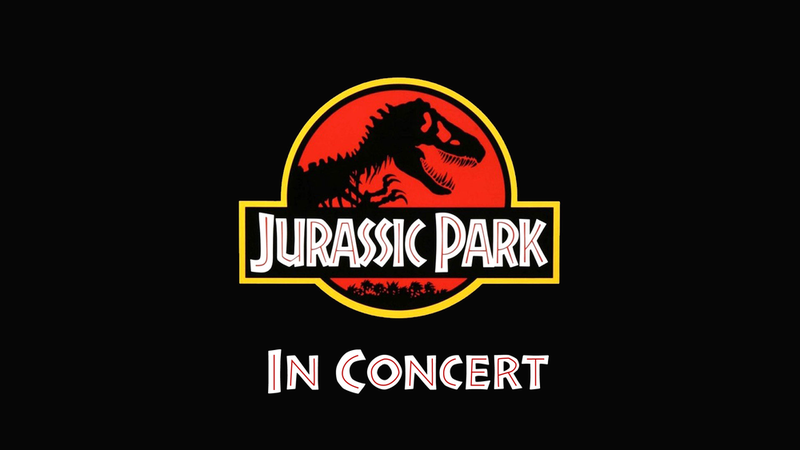 Enter the land of dinosaurs and join the West Virginia Symphony Orchestra as they bring the classic Jurassic Park to life by accompanying the full-length feature film on March 17, at the Clay Center for the Arts and Sciences of WV. Following the popularity of shows such as The Wizard of Oz and Blue Planet, Jurassic Park: Movie with Live Orchestra, presents the original full-length film on the big screen, with the sounds of the orchestra filling the hall to accompany the picture. Audiences have two chances to catch this awe-inspiring performance at 1:00 & 7:30 p.m. on Saturday, March 17. Tickets for the two performances begin at $17 and can be purchased by visiting wvsymphony.org or by calling the Box Office at 304.561.3570. Discount rates are available for groups of 10 or more by calling the Clay Center Box Office. Music Director, Lawrence Loh, will lead the Orchestra as they venture through Isla Nublar and the mythical theme park filled with Tyrannosaurus Rex, Velociraptors, and more! This concert is part of the ZMM Architects and Engineers Pops Series, and is brought to you with support from KVC Behavioral Healthcare of West Virginia and Suddenlink Communications. The West Virginia Symphony Orchestra is West Virginia’s premier performing arts organization, presenting classical, pops, and chamber-music concerts annually throughout the Mountain State. Currently in its 79th season, the WVSO is a proud member of the community and enriches the region by providing affordable, high-quality concerts, collaborations with West Virginia arts organizations and a nationally award-winning education program.